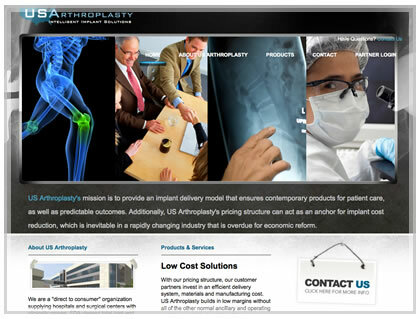 The mission of this company is to provide medical products to hospitals and surgical centers. Lunawebs created a professional medical products website for them because it is really important for a company that provides products to a hospital to look professional and credible. The homepage has a simple layout with tabs across the top of the webpage. The other webpages have sub navigation on the left side.